Good morning!! I love these types of advertisements...the ones you don't expect but can only really figure out when you look at them from a distance. 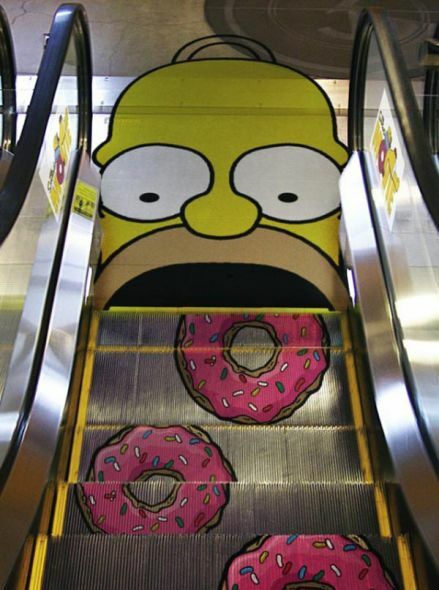 Being a huge fan of The Simpsons, this particular advertisement really caught my eye. It's a little old seeing that it's promoting their movie but regardless I thought it was still worth sharing based on how creative it is. I want to make sure I don't get sole credit for finding this, so here goes. Thanks to Ads of the World who found it via julien-hatton who found it via sitesquibuzz! I'm glad it found its way to The WIM at the end. Anyways, here it is and let me know what you thought!